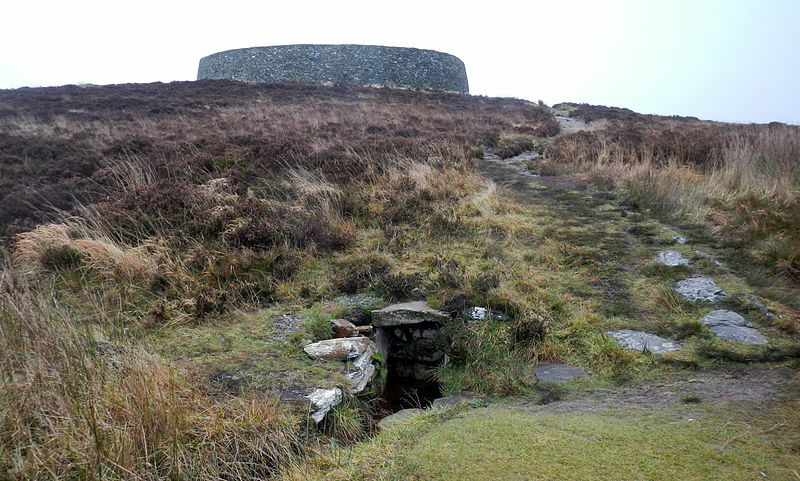 A visit to the Grianan of Aileach, meaning ”Fortress of the Sun”, is a must for anyone visiting the northwest of Ireland, especially if history is your thing! Legend states it was built by the Daghda, an ancient King of the old Irish pagan gods, although it was more likely to have been constructed in the 6th century by the Uí Néill dynasty as a defensive fortress. It is strategically placed atop a hill at the mouth of Inishowen in Co. Donegal offering a staggering view of the surrounding landscape. 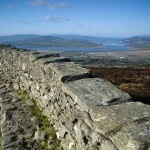 It overlooks the Lough Swilly, Lough Foyle, and parts of Derry, Tyrone and Donegal. An impressive, almost intimidating structure, its walls stand over 16 ft tall and 15 ft thick. 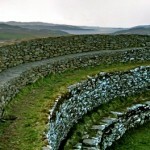 The fortress was the centre of power in the surrounding kingdom of Aileach from its contruction in the 5th century but was destroyed in the early 12th century due to clan warfare. Restored in 1870 it is now protected as a national monument of Ireland. Also worth note and visit is the nearby neolithic burial mounds, suggesting an earlier settlement, and a Holy Well of St Patrick.